This is a term that you may have heard being bandied around within photography circles, but what exactly does it mean? It may sound like the name of a 70s spy film, but in reality, it is a process that happens every time we take a photo. The exposure triangle is effectively a juggling act between three elements – aperture, shutter speed and ISO (hence the reference to a triangle). In all our images, we are aiming to get the right balance between them to take the perfectly exposed photo. Have a look at the chart below. 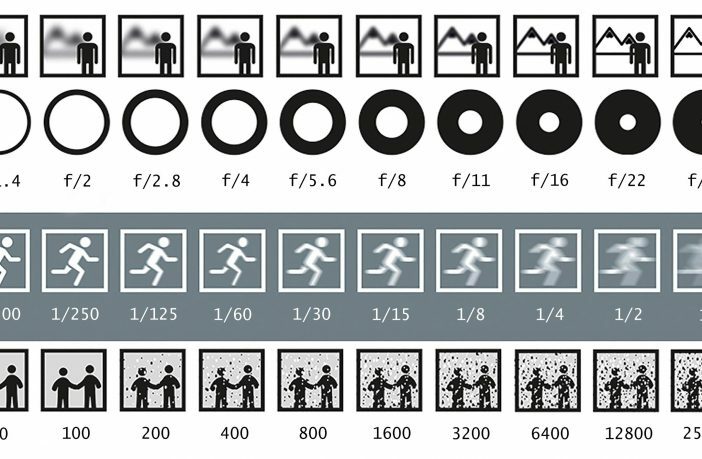 From this, you will notice that the larger the aperture, the blurrier a background will be; the slower the shutter speed, the blurrier an image will become. Finally, the higher you put your ISO, the more noise (another word for digital grain) you’ll get on your images. We can make adjustments to these settings that will still give us the same amount of light, albeit with slightly different visual results. What we need to remember is, if one of the three settings change, one or both of the other settings needs to change to compensate for it. Have a look at the chart below. 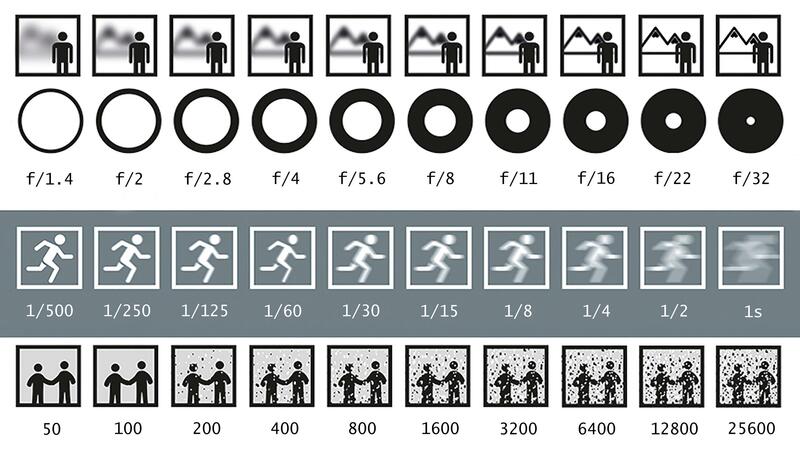 We can increase the aperture by one stop (which lets in twice as much light) but we can compensate for this by reducing the duration that the shutter speed is open or by reducing the sensor’s sensitivity to light. Basically, if something goes up by a certain amount, the other two elements have to come down by an equal amount; the same applies if the process is reversed. Similarly, as an example, if you have to change one of your settings by two stops, you move either one or both of your other settings in an opposite direction a combined two stops, which will give you the same exposure. Why not cut out and keep the handy chart below and put it in your camera bag? You could even laminate it and use it with a drywipe marker. And don’t forget, if you book your 1 to 1 with Eifion, he can offer you even more assistance with the exposure triangle – and a lot more!